There’s nothing we like better at Coney than meeting new people and making things together – which is what’s so brilliant about our Network. The Network of Coney is a group of artists, makers, creative types and people who like what we do. They are part of Coney, and a Network between themselves, with new connections and future creative partnerships being formed all the time at events like Playtests, Scratches, Salons and Exchanges. With over 500 members of our Network there are a lot of people to meet – and we’d like to introduce you to a some of our many and varied Network members. 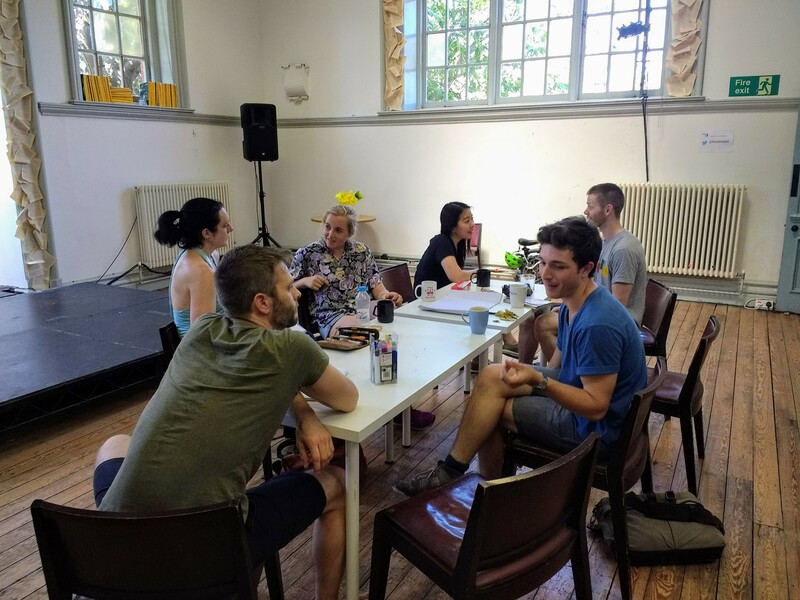 Read on to find out a few things about each of the brilliant people who came to our July Exchange at Theatre Deli – The Old Library, and what they took away from the Exchange. A tip: If you’re feeling frustrated on a plane, remember you are already travelling as fast as it’s possible to travel – you are being productive! We’re holding another Exchange on Sunday 30th September, 12.30-5pm, so if you fancy getting to know some like-minded artists and makers, come along! Sign up for the Network here and give us a knock if you’d like to come to the Exchange.